Looking for a new trick to add to your behavior management bag of tricks? Every teacher knows that you need PLENTY of tricks, because once the novelty of one wears off, you need another to quickly implement and keep your students on their toes. 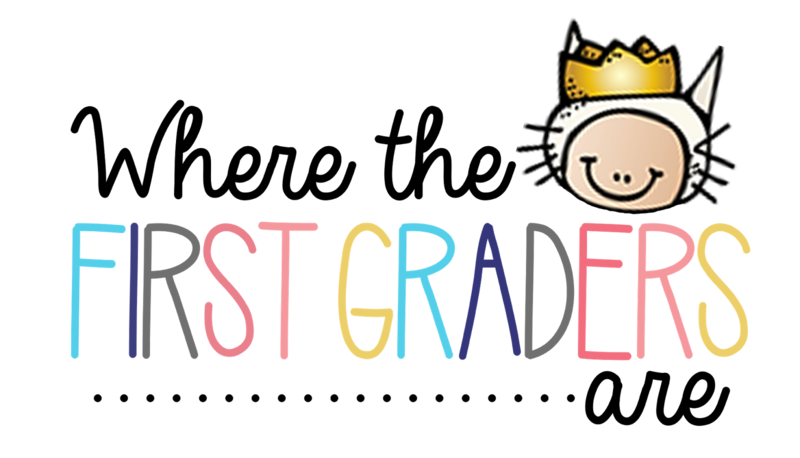 I was lucky enough to attend the SDE Texas First Grade conference in January and one of my favorite sessions was by Cara Carroll of the First Grade Parade on this very subject. 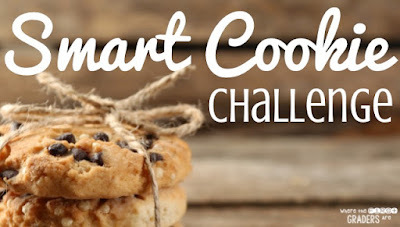 I took away TONS of great ideas, but the first one I tried out was the "Smart Cookie" board. Simple. Your class works to earn compliments as a team. For each compliment they earn, you put a cookie on the cookie sheet. Once the class receives all eight cookies, they receive a reward. I planned ours during the week we studied Laura Numeroff. 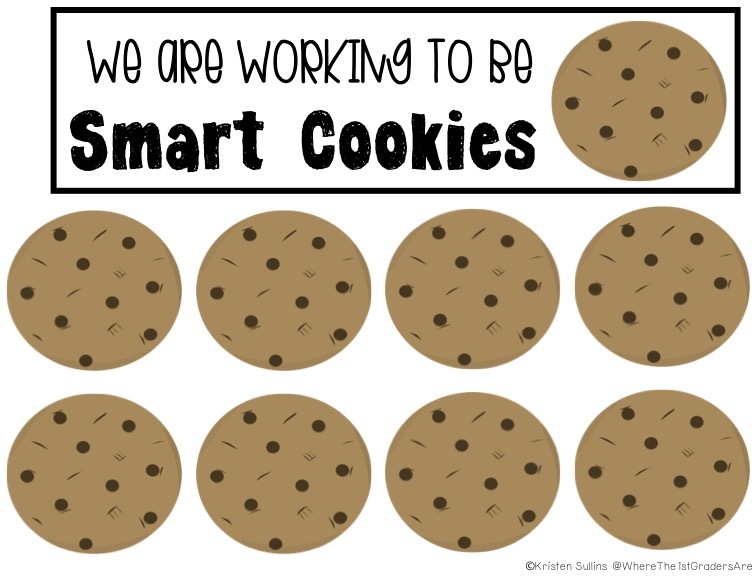 We had lots of different activities that went with If You Give a Mouse a Cookie, so our reward was a cookie graphing activity at the end of the week. Students graphed if they liked oreos or chocolate chip cookies better. Then they got to eat whichever cookie they had picked. 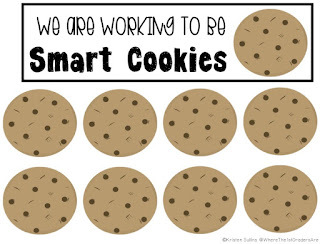 Another great time of year to do this would be the 50th, 100th or 150th day of school week when you are talking about being "smart cookies". 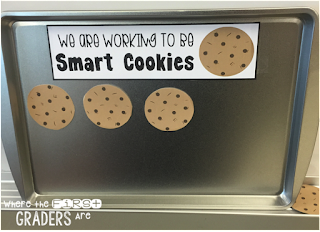 You probably already have some kind of magnetic board or cookie sheet at school, but if not you can buy them for $1 or less at Wal-Mart or the Dollar Tree. Laminate for durability, then add magnets to the back for easy attachment. Stay tuned for my next behavior management project with puzzle pieces and follow my Behavior Management board on Pinterest for more great ideas! Follow Where The First Graders Are's board Behavior Management Tips, Tricks & Ideas on Pinterest. What are some of your best behavior management tricks?